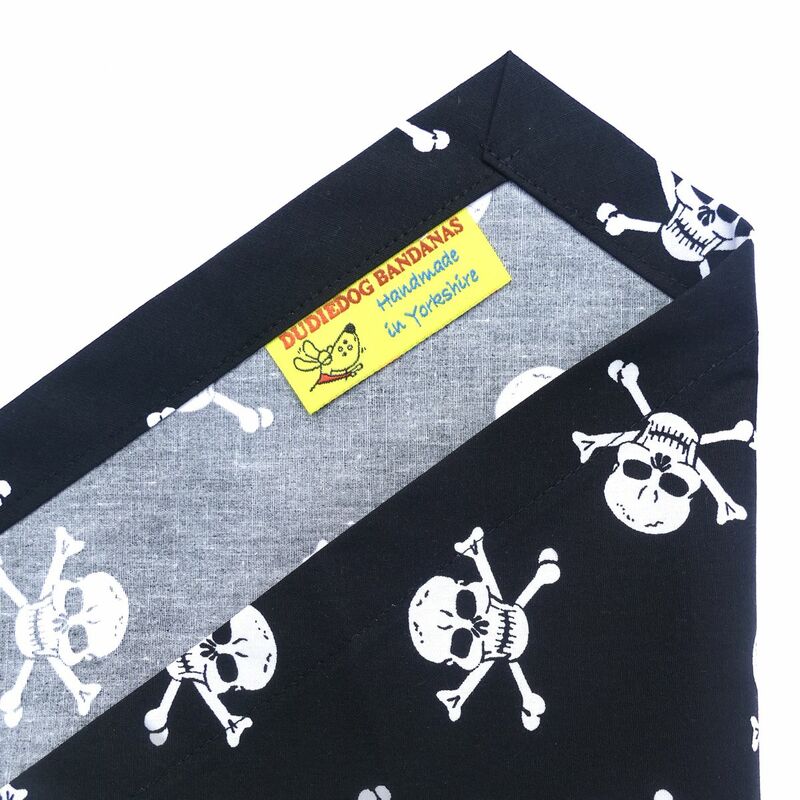 A super-cool Pirate Skull dog bandana, which is always a best seller here at Dudiedog! 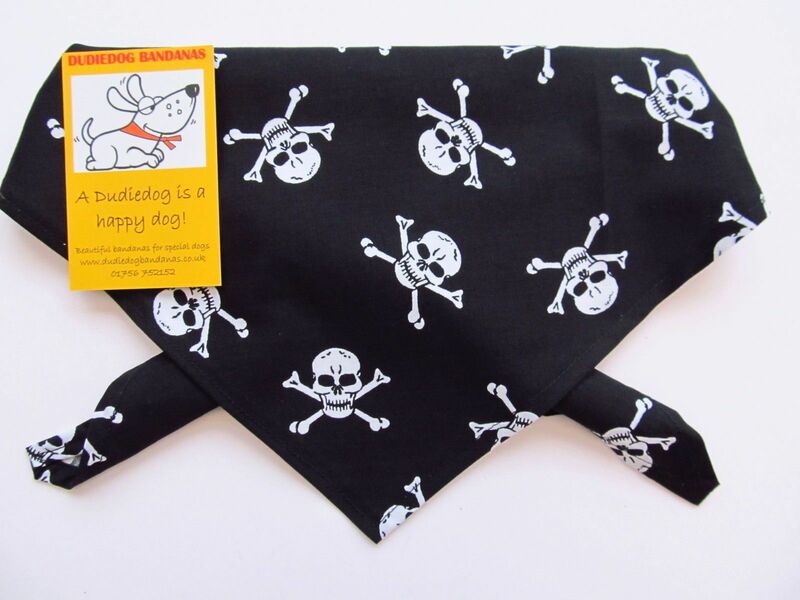 It has a black background decorated with a white skull and crossbones design, and it looks very striking on all dogs! 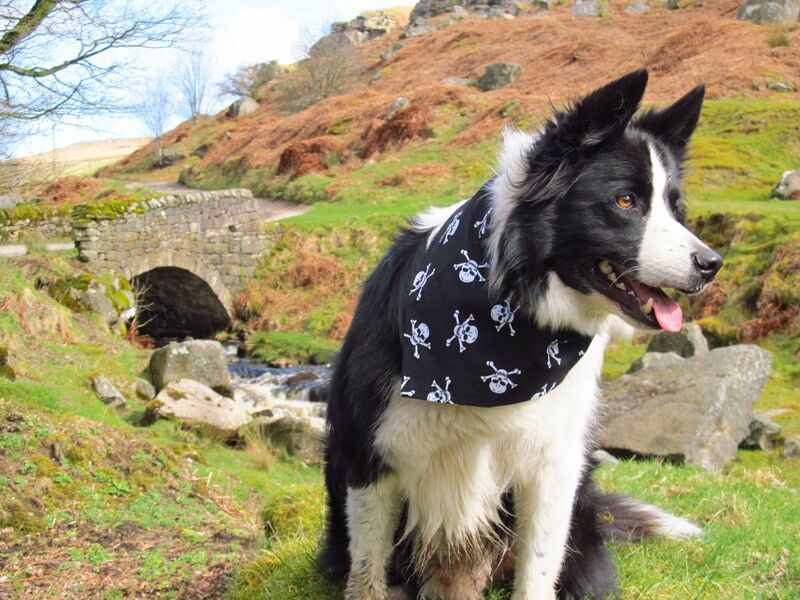 This is a great, cool look for any dog, whether he/she is having a day out at the seaside, a boating holiday, or just out and about on their walkies.